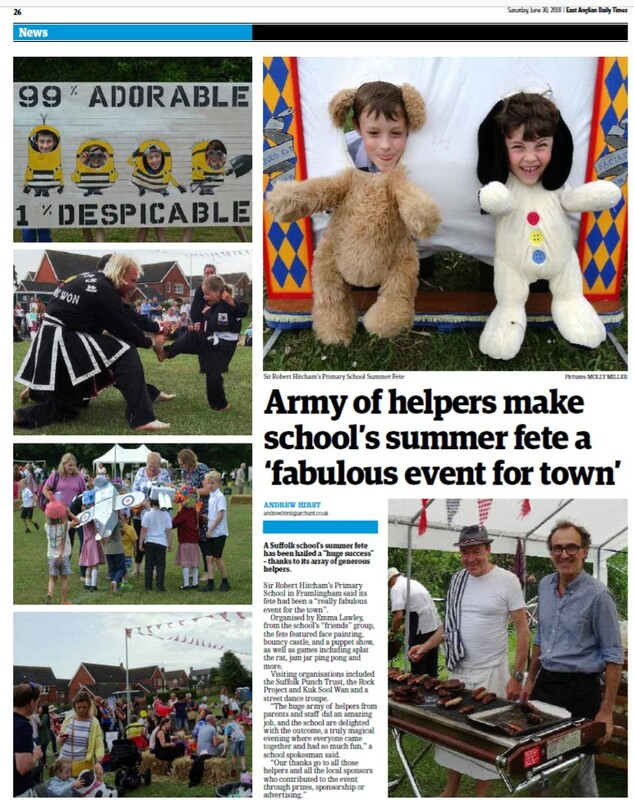 Hitcham's Blog: Summer Fun at the Fete! Summer Fun at the Fete! What a truly wonderful event on our school field on Friday evening - the most brilliant Summer Fete! Not only was there a splendid Hat Parade, Street Dance display, Tug-o-war and Kuk Sool Won demonstration, but we were also lucky enough to have a fabulous Suffolk Punch Horse at the Fete. There are lots of photos on the school website and a few tasters below. Also see the report from the EADT at the end. Summer Fete Today - Wow! What a cake!